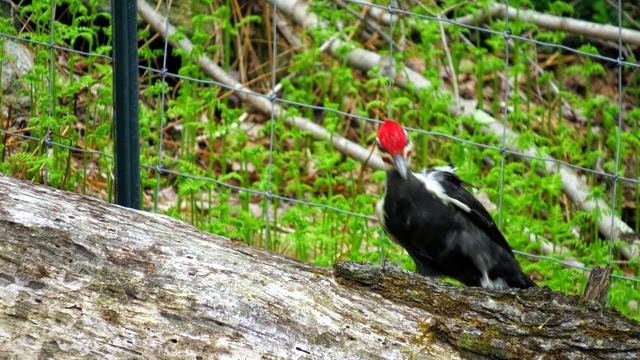 One of the biggest and most striking forest birds, I just can't take my eyes off of him when he makes an entrance. Thank goodness we have lots of old tree trunks that he enjoys. 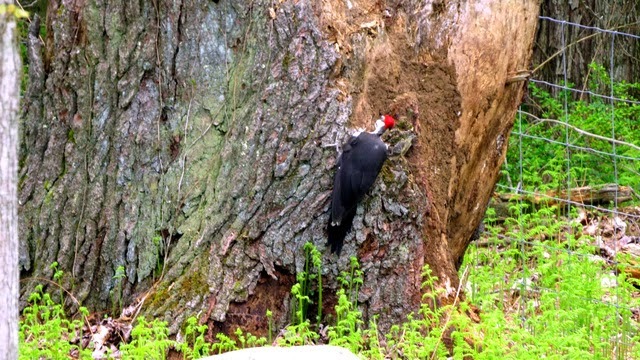 Do you get Pileated Woodpeckers in your neck of the woods? Sharing another bird that stole my heart. 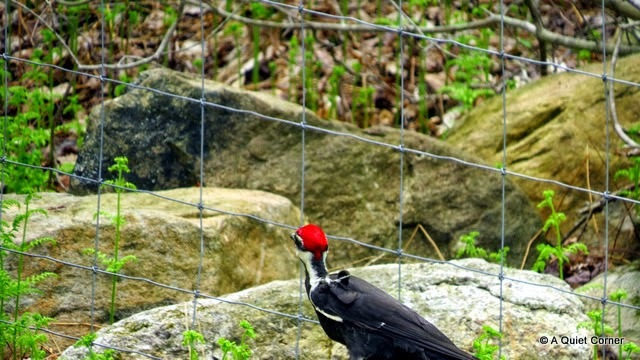 The Pileated is one of my favorite birds too! I see them in the woods next to my house and sometimes flying over my yard! Awesome photos! Enjoy your day! he is gorgeous.. does the Eagle KNOW you have another heart throb? yes, we get them here, once i saw 3 of these guys in one tree only a few feet away... now i am wondering if they are on my blog somewhere. What a beauty. We have them here but I don't see them very often. 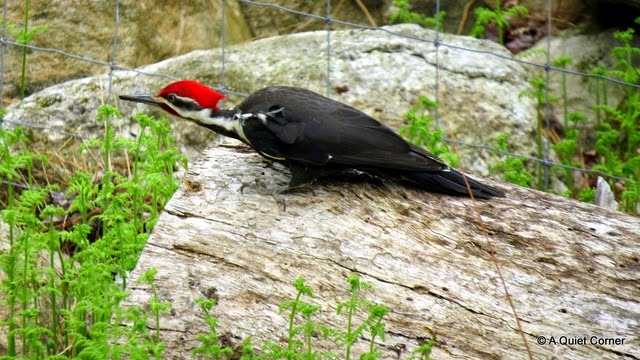 A beautiful woodpecker. I've never seen one but have heard they will visit a backyard here with a dying tree full of yummy insects. We don't but I'd sure love to see one sometime. Love the shots! beautiful shots! 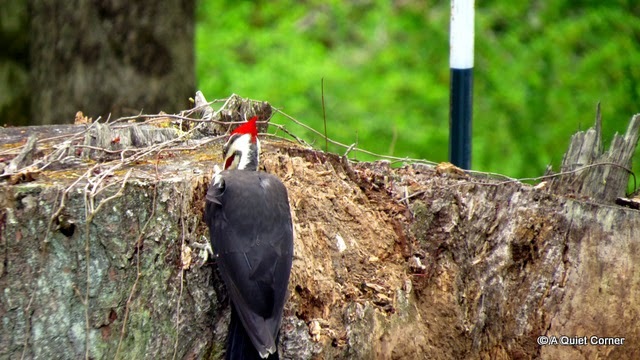 love the pileateds! Yes we do have them. Mostly I just hear them along the tree lines. They are beautiful and very industrious. Great captures! 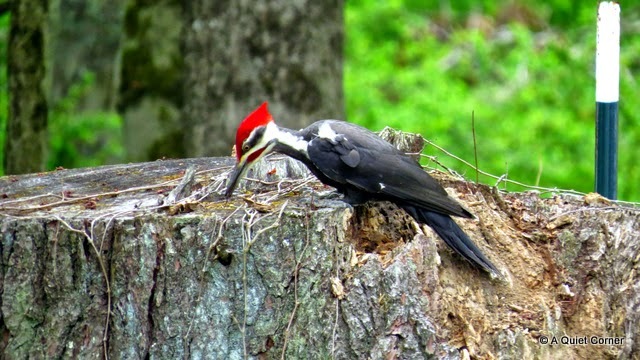 I LOVE woodpeckers but we don't get that sort over here. Nice green ones, greater and lesser spotted. I think that's it for our native species. I'm jealous of your gorgeous visitor. 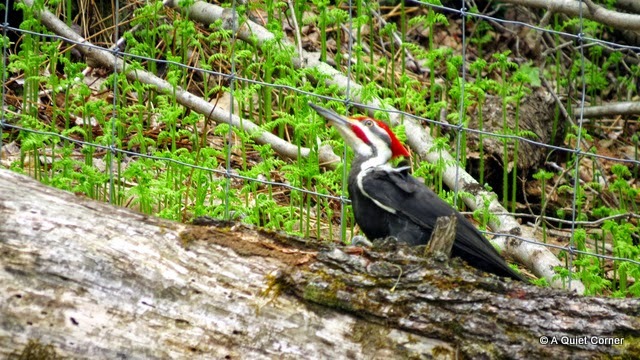 Super shots JP of a species I once had tantalising, distant views of in a US forest. We definitely have no Woodie that big over here. You got astonishing pictures!!! We do have them and they are so impressive; very big! But they are so shy and if they see you, they will run around to the other side of the tree and continue to play hide and seek this way. My favorites are picture 4 and the next to last one. Were you well hidden or did you just charm him? He's so cool looking. I have never seen one of these before. I don't know if they are common in my state or not. What a pretty bird he is. I can't say for sure if there are any around here since I've never seen one. Yes, indeed. Saw both of them this morning pretty close to the house. They were gorgeous. 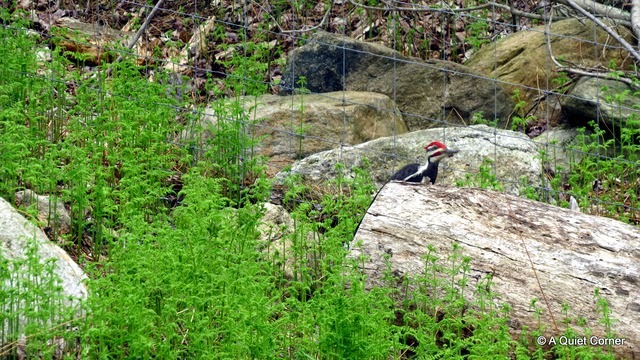 In fact, I saw the pileateds, a red belly, a flicker and what looked like a hairy this morning. Can't ask for better than that. As you know, we have them here, but they are pretty elusive and shy. I hear them, but very rarely get a glimpse of them, let alone the chance to get some great photos like yours! These are wonderful looking birds. I am not surprised they are your favorite birds however we do not get them in the uk. We have these but they are very shy.